What Phone System Your Restaurant Should Use? Phone systems are essential to all restaurants, regardless of size. Telephone technology apps in the dining establishments world can cover all distinct types of dining establishments. From small diners to large establishments, the type of phones system your restaurant uses mostly depends on your restaurant’s needs. The budget also plays a vital role, as more techno scientific equipment that comes with professional service and additional maintenance plans costs more than the simple home phone system. Having an effective communication system allows your restaurant to receive incoming calls for placing orders, as well as placing outbound calls to order supplies, or contact emergency dispatch in case of a crisis. KSU stands for Key Service Unit. 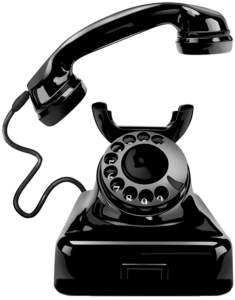 The KSU system offers specialized telephone systems that are typically used by businesses only. These are often used by restaurants that need between 5 and 40 telephone lines and require extensions to be dialed within the business. The telephones are hard-wired and are connected to a central unit, so the KSU system must be installed by a professional. Note: If your restaurant requires a lot of extensions, you will have to purchase a service and maintenance plan. Your home telephone system is a non-KSU telephone, as are other standard telephones that you can install yourself. This type of telephone system may be installed without professional installation services. It is useful for small restaurants that use less than 5 lines. Your restaurant will have to be pre-wired for non-KSU telephone service before it can be activated by a local service provider. This method is very budget friendly and has relatively low maintenance. This is most likely the type of telephone services your restaurant needs. PBX stands for Private Branch Exchange. You must consider a private branch exchange (PBX) system if your restaurant is large in size or may be part of a franchise of restaurants with several locations that you want to network. Similar to KSU systems, all phones connected to a PBX system network build a private network and require professional installation services. Unlike a KSU system, however, you are able to install a single PBX system to cover various locations of a business—that’s over 40 lines more than a KSU system can handle. VoIP stands for Voice over Internet Protocol. VoIP phone service for restaurant enables you to make phone calls using an internet connection instead of relying on traditional phone service. In many cases, VoIP phone service provider companies offer cheaper rates than conventional phone service. It can cover both home and business clients. Like conventional telephone services, the actual cost will depend on what services and service providers are available in your restaurant’s area. Furthermore, if internet service is bad or irregular in your restaurant location, your telephone service will have the same problems. Also read : How to choose a phone system and provider for restaurant ?